Those are beautiful pancakes. I think using cornmeal is a great idea. Congrats about the sulekha. Yummy panckaes. oooh, luckky husband! I adore pancakes. Yummy! That’s a good breakfast! 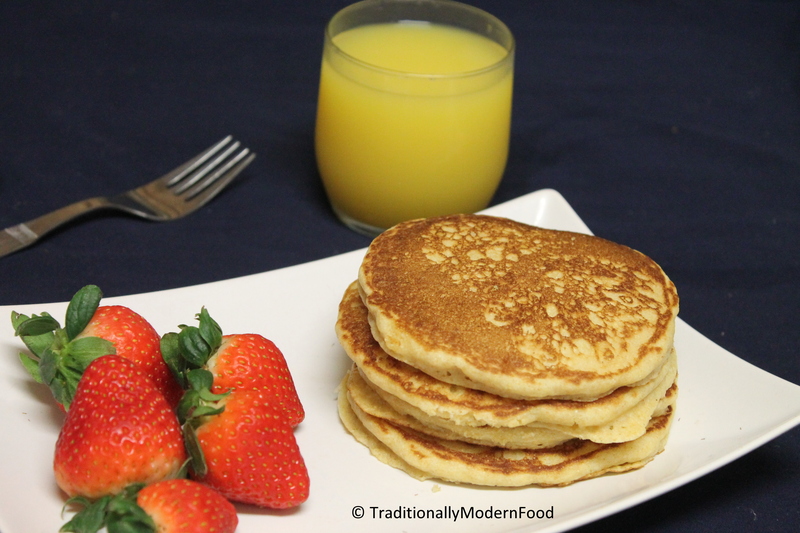 Lovely pancakes Vidya 🙂 I love the way your pictures have turned and your pics have inspired me so much 🙂 Healthy cornmeal pancakes!!! I like the idea of using cornmeal – it sounds delicious! 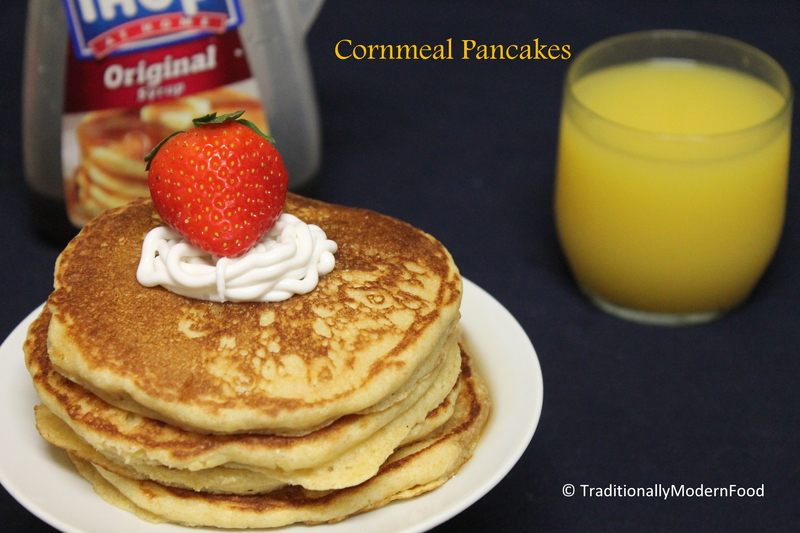 Cornmeal pancake looks delicious very nice. Simply damn delicious pancake for starting a day!!! This sounds like a healthy nutritious breakfast especially for kids. Congratulations on Sulekha appreciation! Nice and healthy breakfast idea. Pancakes is my Sunday morning too 🙂 these look yummy! Yum! Just found breakfast for tomorrow–thanks for the recipe 🙂 Loooooove cornmeal.